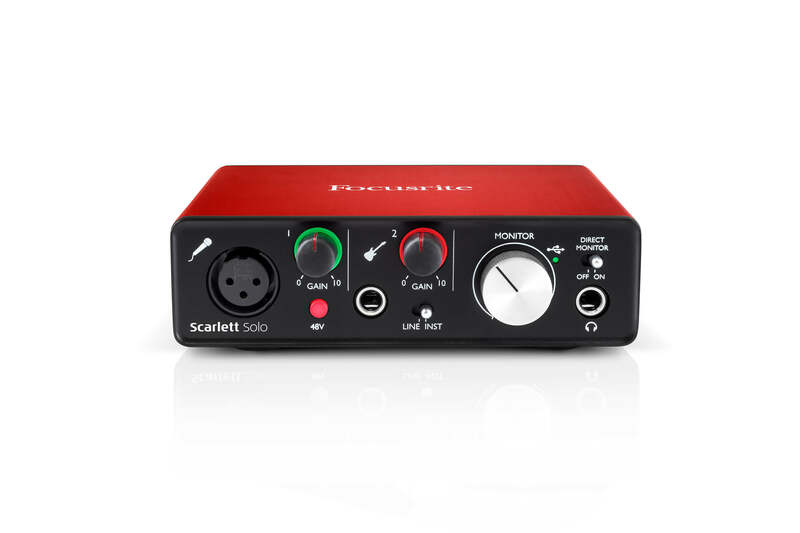 Scarlett Solo is our simplest and most compact interface. 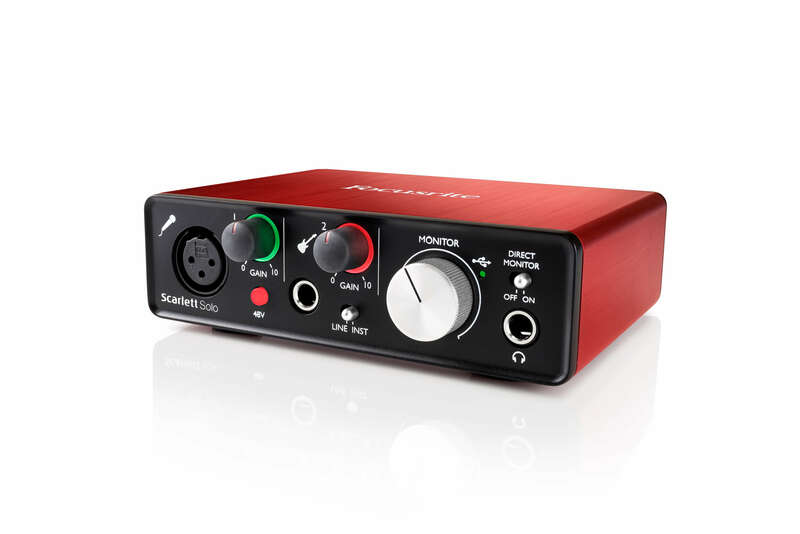 It's ideal for singer-songwriters and guitar players looking for the easiest way to record studio-quality music onto Mac® or PC. 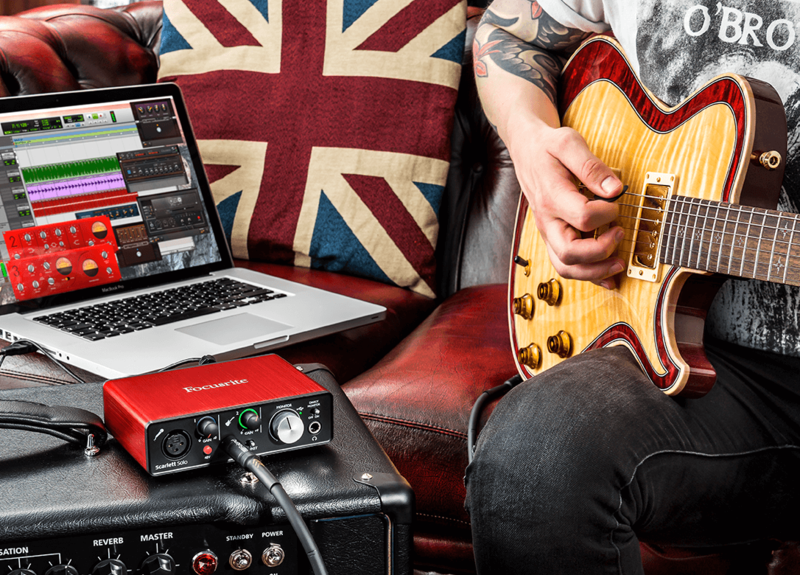 Take it anywhere, connect and power by USB, plug a mic and guitar straight in, and immediately start recording with the same sound quality as the rest of the Scarlett range. Converting your performance into digital audio and back again is the most important part of the recording process. 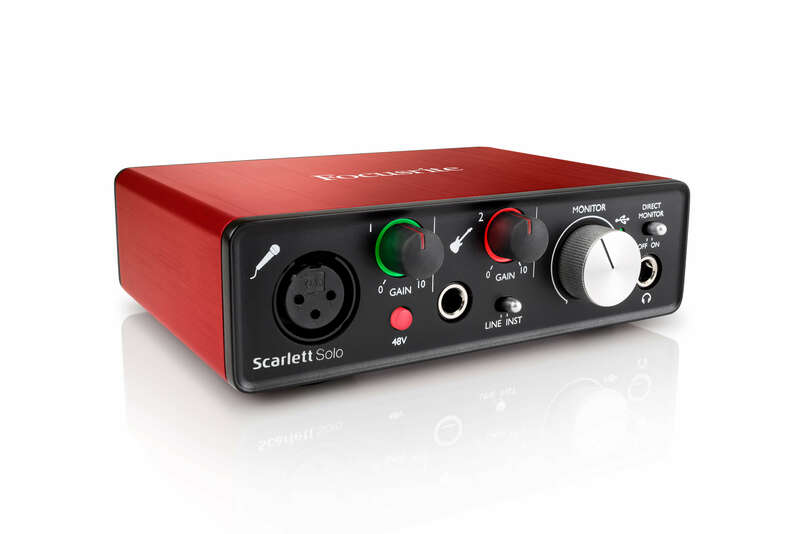 We’ve been making class-leading converters for over 20 years, and because of this Scarlett is the bestselling USB audio interface range in the world from the number one interface company. Wherever you happen to be in the world, you can rely on our two-year warranty if any Focusrite hardware needs repairing or replacing due to a manufacturing fault. 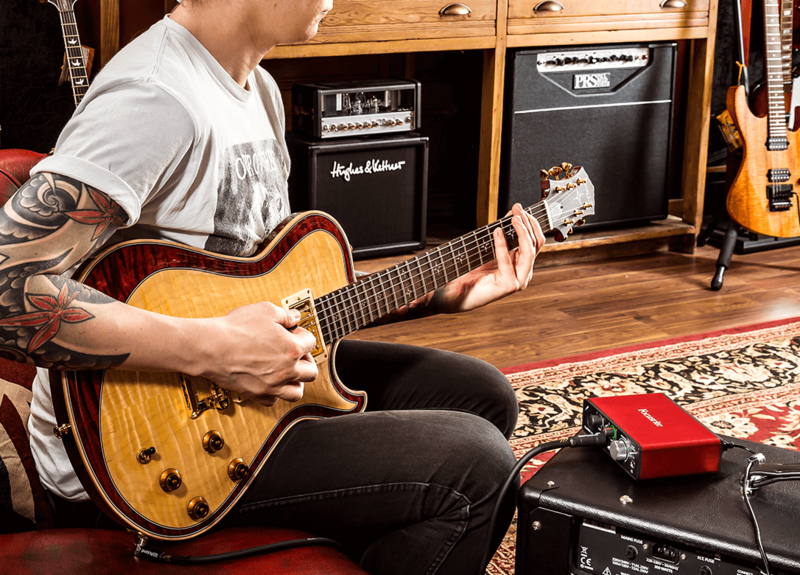 Connect your microphone to our natural-sounding Scarlett preamp, and plug your guitar straight into the input, both of which record studio-quality audio that sounds just the way you intended. Setting the perfect level couldn’t be easier, thanks to our signature Gain Halos around the gain knobs. 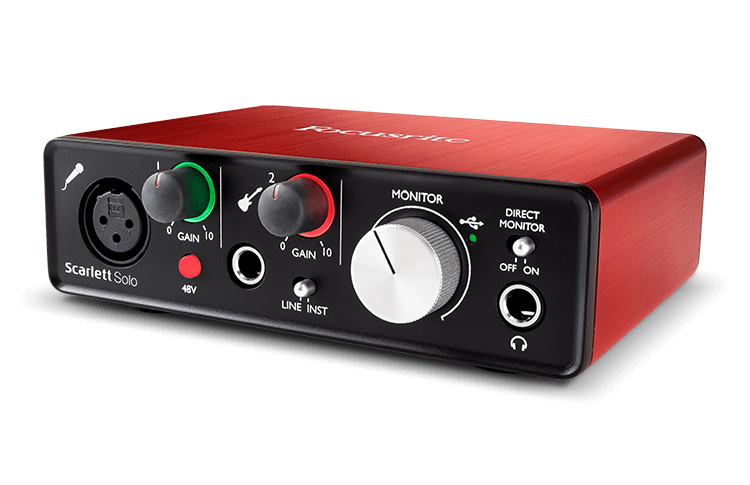 Super-low latency lets you record and monitor with software effects in real time. Take a look at this short video to see for yourself how latency can cause problems when recording, and find out what you can do to overcome it. One plug-in offer will be featured in your Focusrite account every couple of months, keeping you up to date with the tidal wave of releases. 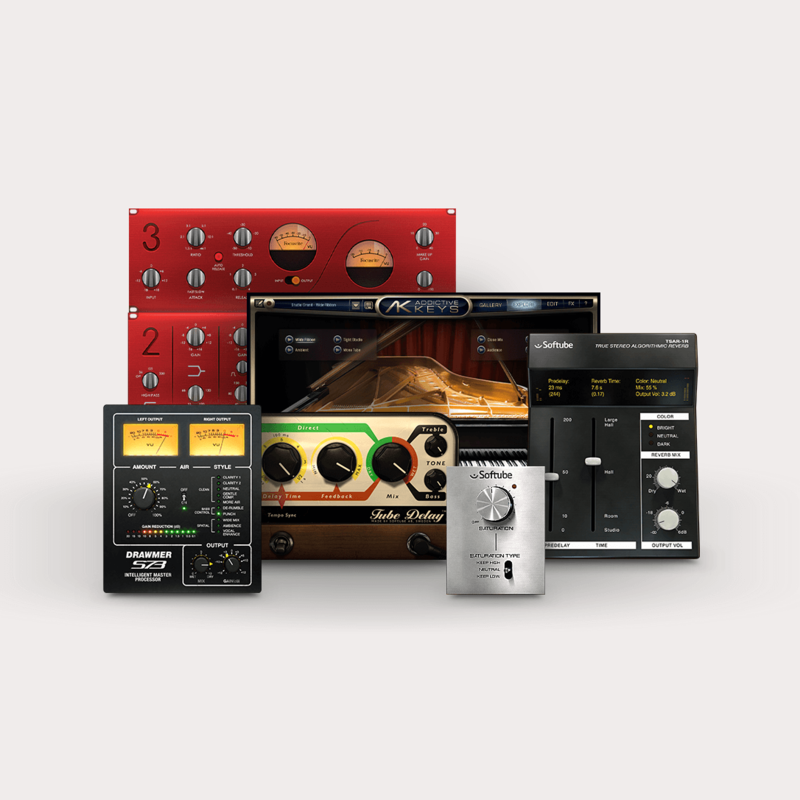 Nobody else works with software manufacturers like us, enabling you to download free plug-ins and benefit from generous discounts. Find out just how easy it is to set up your Scarlett Solo.